Adsupported versionno more size limit. Paid version is adfree. 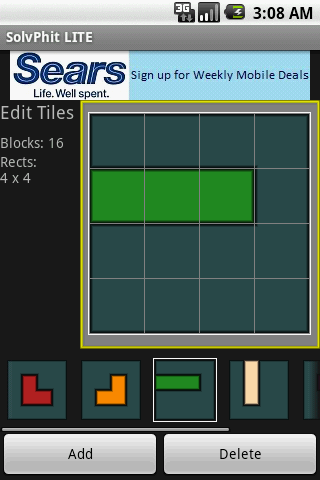 Solves puzzles like Phit Droid and Torect. 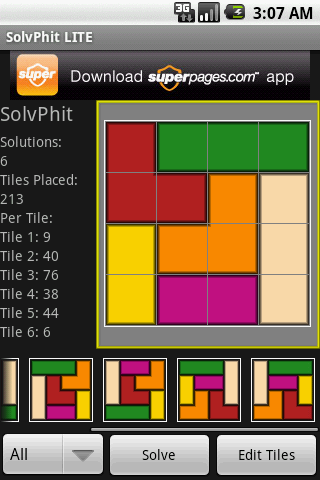 Enter the puzzle pieces and SolvPhit quickly finds all of the solutions. Shows attempted solutions as it works. Supports Droid, Nexus One, G1, MyTouch, etc. Winter Landscapes is a gallery of wintry snowy scenes hand-picked for your Android home screen.